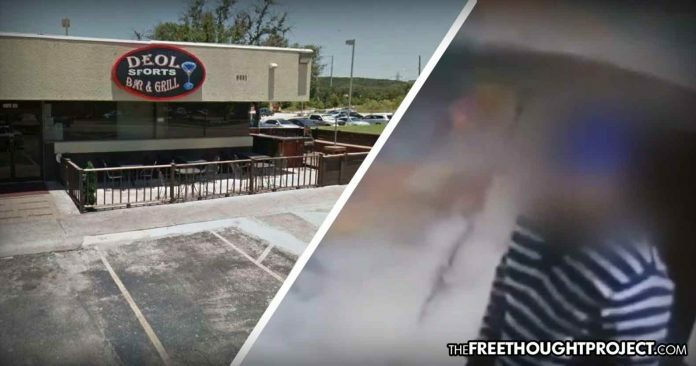 VIDEO: Crazed Cops Flash Badges, Threaten to Carry Out Mass Shooting and "Kill People"
Two of Bexar County's finest were seen on surveillance footage and by multiple witnesses threatening to carry out a mass shooting after people refused to obey their commands. In December of 2017, the Free Thought Project reported on the tragic death of 6-year-old Kameron Prescott whose life was stolen from him when police opened fire on an unarmed woman suspected of stealing a car. The deputies were from the Bexar County sheriff’s department. They killed an innocent child, while shooting an an unarmed woman and none of them were held accountable.